In the last couple of years, due to automation and structural changes in business and technology, we have witnessed more than two million job cuts across the globe. However, unlike other sectors, the financial technology or fintech space is growing at a rapid pace. With various innovations and constant flow of investments, the fintech industry remains a very exciting place to build a career in. Today, the fintech ecosystem in India and the world is in dire need of a talent pool and they are ready to pay hefty a premium for experienced individuals with relevant skillsets. Fintech has various subdomains and underlying enabling technologies. While it has maximum impact on the BFSI sector, other industries are getting disrupted as well. 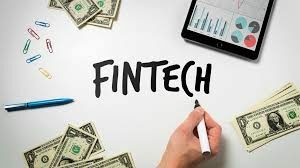 Currently major fintech openings are in the areas of payments, retail banking and personal finance, peer to peer debt financing, equity crowdfunding, asset management/robo-advisors, institutional investments, remittances and financial research. Blockchain: Blockchain technology is also an attractive and exciting area to work in. From enterprise implementation to crowdsourcing, crypto currencies and ICOs, blockchain is going to dominate the industry. Blockchain business analysts who can understand the business problem, identify the right solution and bridge the communication gap between business and technology are in high demand. Profiles being sought are skilled blockchain architects and developers. There are not many legal experts who understand legal and regulatory implications of blockchain and initial coin offerings. Big data analytics: We are generating and consuming unprecedented volume of data. Data is the new fuel for today’s business. Data scientists who can distill actionable information and patterns are getting paid heavily. Artificial intelligence and machine learning: AI/ML is one of the most disruptive areas in fintech. Using various machine learning and deep learning techniques machines can automate tasks, generate useful insights and predict financial outcomes with much greater accuracy than ever. There is a huge shortage of experienced AI/ML specialists. Internet of things (IoT): IoT brings promise of connected ecosystem and smart home to the consumer market. However, for the B2B marketplace IoT currently has a huge impact on trade finance and supply chain segment. Chief digital officer and chief digital information officer (CDO/CDIOs) are now most common designations in most of the companies besides CIO and CTO. The main objective the personnel is to drive the overall digital business strategy through innovation roadmap and fintech alliances. Even the traditional roles such as project managers, product manager, compliance officer and business development officer are getting more connected to fintech.